The Department of Economics assists students in finding internship opportunities. The Undergraduate Womxn in Economics Society provides an empowering and encouraging space for womxn in Economics to meet, collaborate, network, and deepen their understanding and appreciation of the field. 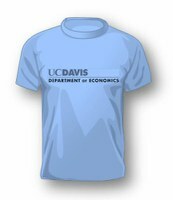 The Department of Economics has established several award programs to recognize students for outstanding academic achievement.